LET US KNOW IF YOU’D LIKE THE STORY CART AT YOUR EVENT! 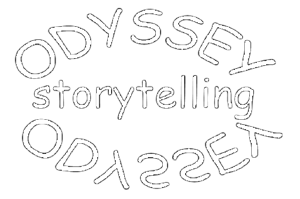 Please add Stories@Odysseystorytelling.com to your contacts list (safe list) to ensure receipt of future mailings. If you would like to be removed from the mailing list, send an email with "unsubscribe" in the subject line. Your donation to Odyssey Storytelling, a program of StoryArts Group, Inc, a 501(c)(3) nonprofit corporation is tax deductible to the extent that the law allows.